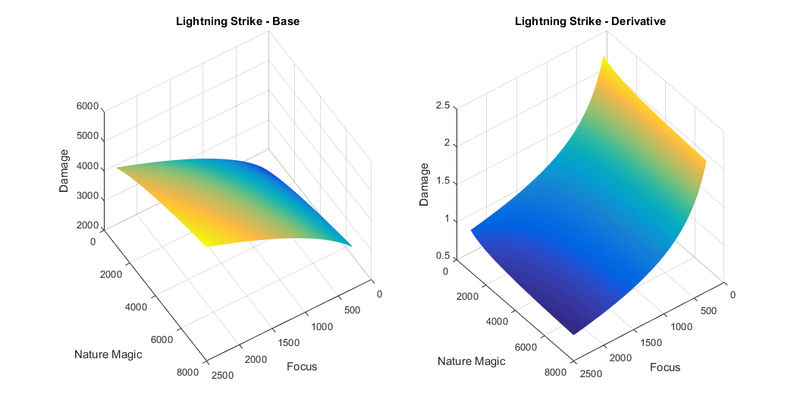 Hello everyone, below are three-dimensional mesh renderings of Swan's skill equations (there is a link to his thread in the Lexicon) for four skills: Nature's Touch, Lightning Strike, Howling Winds, and Shield of Bark. 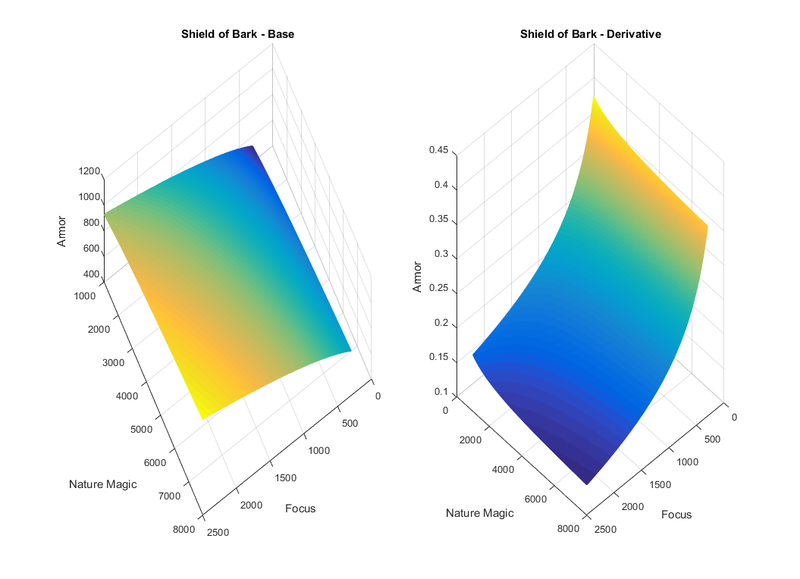 Initially, I started the focus/natmagic axes at 0, however the derivative range was just too high -- the plot looked like two walls and a floor! I arbitrarily chose 300 focus and 1000 natmagic as the minimums for better visuals. Very interesting. 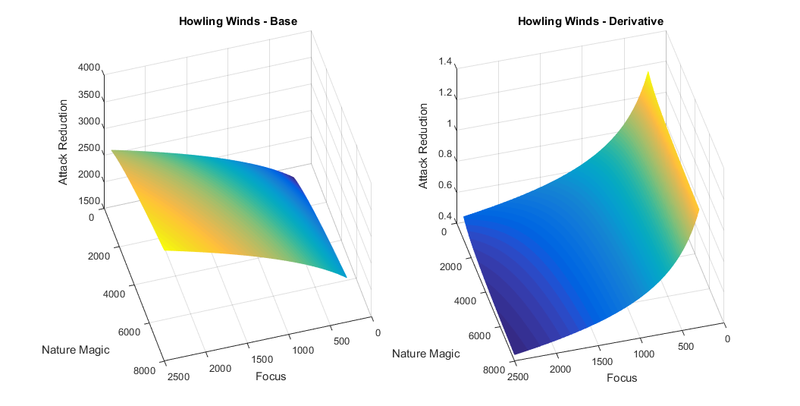 While it wouldn’t change the basic takeaway, I’d like to see these with whatever the theoretical upper limit to both Focus and Nature Magic is. I’m guessing somewhere north of 4.5k foc and 9k nm. Mickey wrote: Very interesting. While it wouldn’t change the basic takeaway, I’d like to see these with whatever the theoretical upper limit to both Focus and Nature Magic is. I’m guessing somewhere north of 4.5k foc and 9k nm.